Every single day, we see families struggle to make difficult decisions during the most emotional times. We see the stress, the tears, and the outpouring of emotion that comes from not knowing what Mom, Dad, Brother, or Sister may have wanted. Some of these families never experience the peace that comes with true closure because they question their decisions long after the fact. And some of these families carry this emotional burden for far too long. While there are many reasons to pre-plan, this is the number one reason that pre-planning your cemetery and funeral arrangements is so important. As professionals in the cemetery and memorial industry, we understand and acknowledge that discussing one’s mortality is an extremely uncomfortable topic. However, we can help you and your family experience the sense of peace that only comes from knowing that your wishes will be carried out and that your loved ones will not have to make these difficult decisions at the time of death. Annandale Monument Co. Owner Vince Hylla was great to work with. He was very professional and very personal to meet our needs for the memorial we purchased from him. He was involved throughout the entire process to answer any questions that we had and deeply cared about what we trying to accomplish. The final product was absolutely stunning and surpassed all our expectations. I would recommend Annandale Monument Co. to anyone looking to buy a memorial. If we ever do another project like this in the future we would definitely use Vincent with Annandale Monument Co. The president of Annandale Monument Co., Vincent Hylla, was extremely helpful when we were looking for a 10 commandments monument. His knowledge and insight was key in helping us pinpoint the exact look and style we were looking for. Our Knights of Columbus Council 1798 and the St. Joseph's Catholic Parrish in Williston, ND couldn't be happier with the end result. We are very satisfied with the service, price, and quality that Annandale Monument Co. provided us. Vincent took the time to come to Williston and explain everything to us so ordering what we wanted went seamless. Vincent followed the process from start to finish always striving to make sure we were completely satisfied. We highly recommend Annandale Monument Co.
Annandale Monument Co. staff provided the St. Thomas Aquinas Knights of Columbus 11949, at the University of St. Thomas, with an outstanding monument in honor of the unborn. Vincent Hylla, President, made a very generous donation of his time to help our council make its dream of installing a monument, on campus, become a reality through his hard work, dedication & determination. Vincent also understands the importance of giving back to the community especially since he is a graduate of the University of St. Thomas. I would recommend Annandale Monument Co. to any family or business that wants to honor the memory of lost loved one or make a positive difference in their community. Monuments are products that most people never think about and rarely shop for. 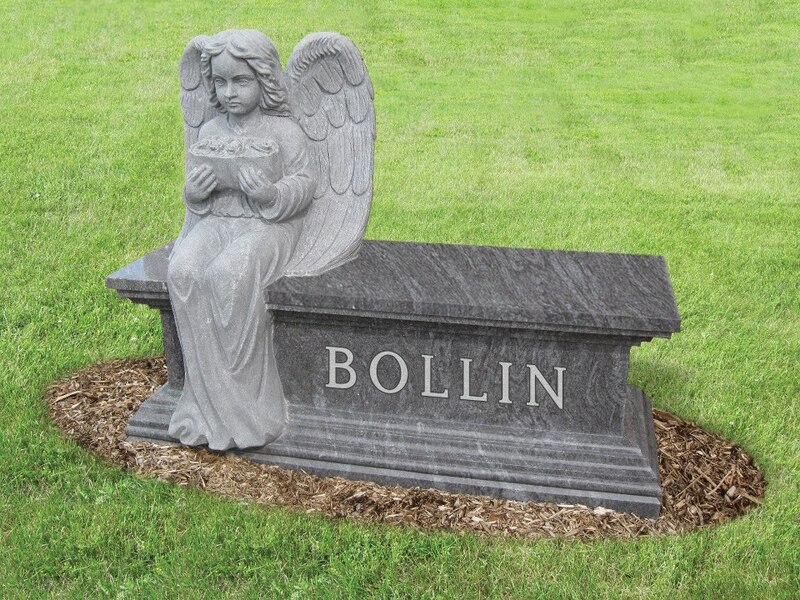 Headstones come in many shapes, sizes, and colors and vary from simplistic designs to extraordinary mausoleums. When you begin shopping for a memorial, there are several key elements that you should consider, including the materials from which the headstone is made. We can design and create a custom granite bench for you, ranging anywhere from an ornate bench built with smooth stone to a rugged one constructed from rough rock. Many people choose custom granite benches because they have a natural appearance and allow family members to linger more comfortably at the gravesite while sitting on the bench. 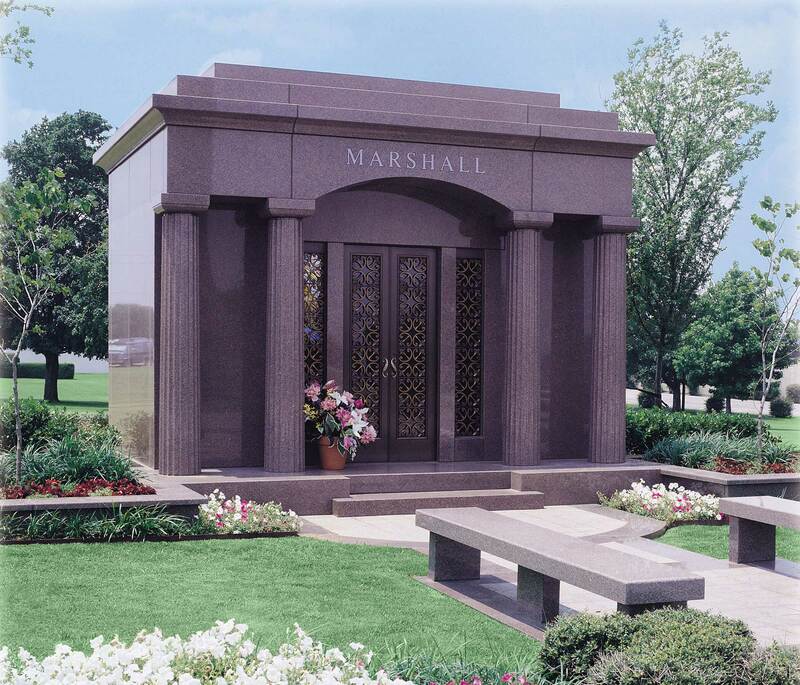 For the ultimate expression of your legacy, consider a private mausoleum. 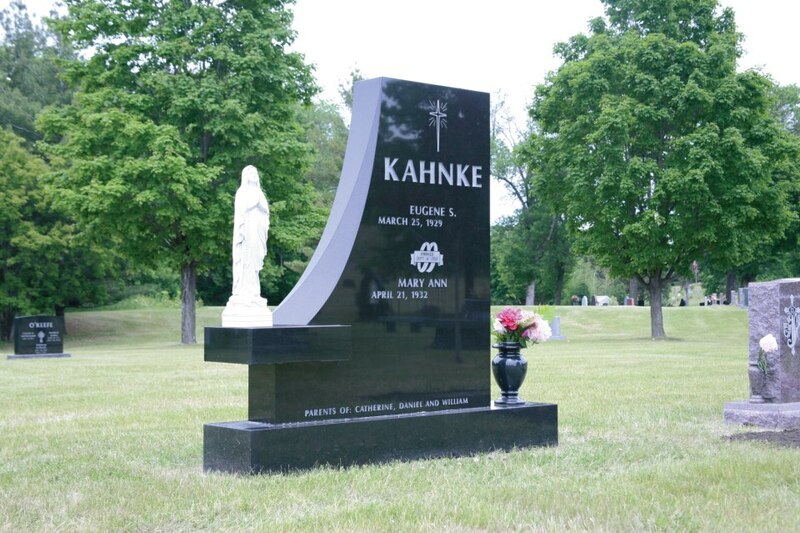 Private mausoleums are custom built to reflect the memory of one or many generations. Our team of experienced designers will create an estate with your wishes and preferences in mind.